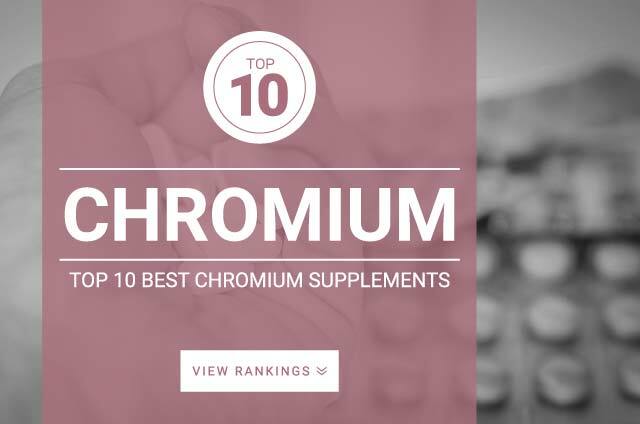 Chromium is an essential trace mineral, meaning its needed in small amounts by the body for healthy functioning. Chromium plays an important rule in insulin regulation and function in the body. Chromium’s ability to help regulate glucose in the blood has been shown to decrease fasting blood sugar levels, improve heart health, produce modest weight management benefits, and aid brain function. Current evidence suggests that chromium deficiency may be relatively common. Calcium interferes with chromium absorption and should not be supplemented along side a calcium supplement, or any large amount of dairy foods. Chromium supplementation dosages used in studies ranges from 200 mcg – 1000 mcg daily of chromium picolinate. The upper limit (UL) of chromium intake is not known, studies show that chromium is safe when take at dosages of 50 mcg to 200 mcg daily.